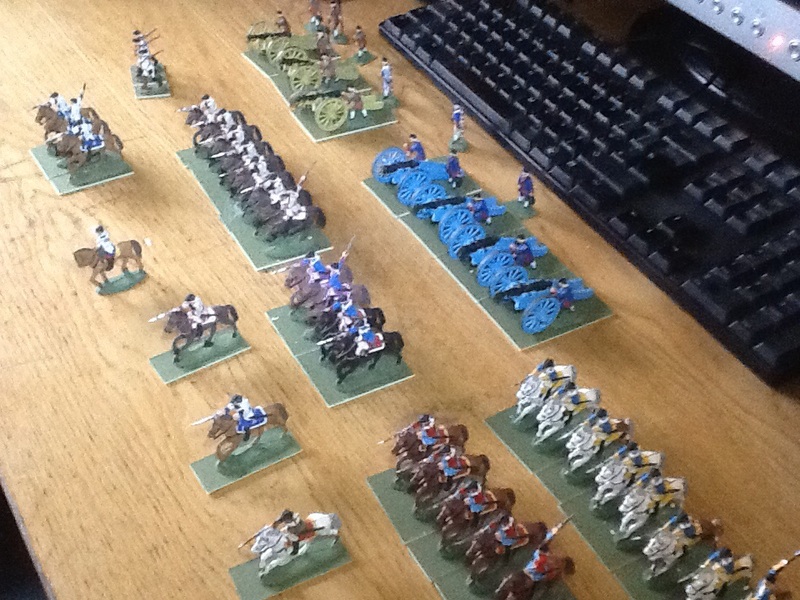 Approximately thirtyfive years after giving my partly painted Spencer Smith model doldiers to my son, I have managed to acquire some more and thus have my ticket back to Old School Wargaming in the traditional style. I have not unpacked them all yet, as the table is full of work in progress, but here is a teaser. The first few soldiers out of the box. I found a few suffering from Brittle Bone Syndrome, but I belive I have enough to create a decent army. When I have had a chance to parade them, I will post a proper update. In the meantime, a further 58 grenadiers are marching to join them.